Welcome to the Piano Workshop! The Piano Workshop at Chester is one of the premier music schools in Northern New Jersey, offering private piano, guitar, and voice lessons. Our Chester studio offers a wonderful environment, optimum teaching conditions, perfect acoustics and high quality pianos. Every instructor at our studio has a degree in music education, performance or pedagogy and has an extensive resume of professional performances and experience. The Piano Workshop at Chester offers a unique environment, unlike any other music school in the area. Each instructor has a personal, dedicated interest in your music education. 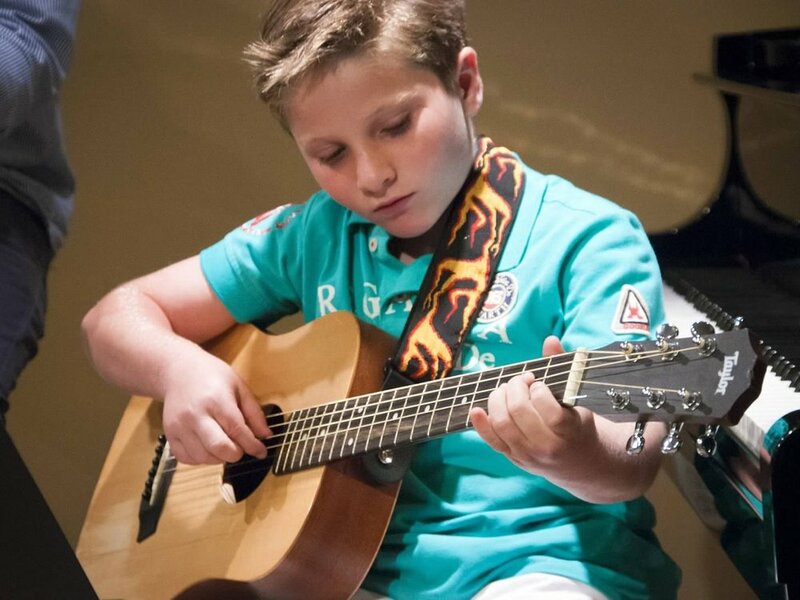 We match each student with an instructor that is best suited to teach the student the necessary skills and related theory to learn to play and grow musically. 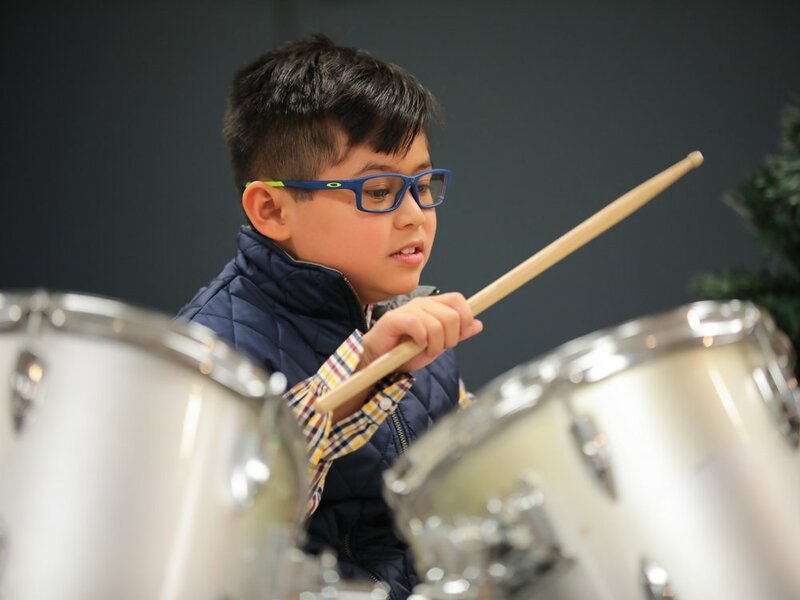 This approach allows students to tap into their individual creative spirit and begin a lifelong journey of exploring and appreciating music. So much has changed in today’s music world. Music is all around us: on the radio, in commercials, even on computers, and what we hear is a diversity that we have never had before. The musical development of children and adults includes a wide variety of styles and sounds, from Bach and blues to pop and jazz. Learning to play the piano or any instrument plays an important role in a child’s development, not just as a means of learning performance repertoire, but also as a means of nurturing and personal growth. Students have different strengths, interests, and learning styles. These factors are all considered when choosing appropriate curricula and lesson materials for each individual. Aspiring musicians are encourages to develop musical artistry and personal expression in addition to gaining musical skills and knowledge. At The Piano Workshop, we take pride in helping students develop an appreciation for all styles of music, providing musical challenges, developing a music education, participating in performance opportunities, and preparing young students for continuing their music careers through college. Too often, students are taught to simply memorize notes. The Piano Workshop takes pride in teaching students to sight-read, transpose, recognize key signatures, improvise, and compose music. This gives them an understanding and appreciation of music and how it can be applied elsewhere. Our Fall 2018 semester will run from Tuesday September 4th, to Sunday January 27th, 2018, and our Winter/Spring semester will run from Tuesday Jan 28th, 2018 to Sunday June 23rd, 2018. • Payment options are located on our online registration form. • A late fee of $25 will be charged for payments made after the 10th of the month. • For students starting lessons mid-semester, tuition will be pro-rated and they will be invoiced monthly until the next semester. Tuition payments: can be paid up front for the 19 week semester, or in 5 installments (monthly). Payments can be made by check. (due on or before the 10th of each month), or credit card. For credit card payments you must enter your credit card information. If you have a billing question, please contact Mark directly with any questions (teachers are not in a position to answer any billing related questions). • Certification fees, administrative paperwork, scheduling time for each student, trips to the music store.......you get the idea. Please note: If you started your lessons in late fall of 2017, or late spring of 2018 the registration fee and music fees may have been waived but will apply for our 2018/2019 semesters. There is a $50 dollar music fee billed at the beginning of each year. This applies to piano students age eight and older and is waived for our younger students, guitar students and adult students. Fee will also be waived on your invoice if you spent less than $25 of last year's fee. The average student spends between $35 and $80 dollars on music per year. If there are siblings of the same age and level taking lessons, there will be only one music fee charged. However, if the siblings are not at the same age or level, then the music fee will be $75. Credits for unused music fees for last winter and spring will be issued on your October invoice. Music provided for adults or pre-schoolers will be added to your monthly invoice. • Reminder: Tuition is based on 19 lessons and stays the same each month regardless whether there are 3, 4 or 5 lessons taken during a month. For emergencies and last minute scheduling issues please call the school number at (908) 955-3022. Your message will immediately be texted to Mark . This is the most efficient way to reach everyone, especially for last minute problems. Other scheduling issues may be discussed directly with your teacher. However, we ask that you also email the studio at director@thepianoworkshopatchester.com or use the email system on our Parent Portal. If a parent or guardian cannot wait with a student during a lesson, the student should be dropped off no earlier than five minutes before the scheduled lesson time and picked up no later than five minutes after the lesson ends. Please make sure their teacher is at the studio before you leave. If a student must be dropped off early or picked up late or if you are running late unexpectedly, please contact the teacher directly to ensure someone will be at the studio to wait with your child. The studio is only open for scheduled lessons and does not keep specific hours. For your child’s safety and your own convenience, please do not assume the doors will be open and someone will be available to wait with your child more than five minutes before and after their scheduled lesson time. If a student has a 30 minute lesson, then a good daily practice session would last between 15 and 20 minutes. For an hour lesson, practice should be between 30 and 55 minutes. Our semesters run from Labor day through the 3rd week of January, and then from February through the third week of June. Summer sessions and packages are available as well. Our Chester studio boasts 6 teaching rooms, two of which are acoustically treated and ideal for recording, rehearsals as well as lessons. Currently we have 7 high quality pianos three of which are baby grand size. Our newest addition is the state of the art Yamaha Avant Grande which is truly a world class instrument. It is considered a hybrid since it is electronic and produces the sounds digitally, but also looks like a grand piano and has actual hammers inside to duplicate the action and feel of a concert grand piano. We offer in-home lessons as well, scheduling and teacher availability permitting. The PETROF company is currently the biggest producer of acoustic pianos in Europe, It is a Czech family company that has been in operation since 1864. The Petrof company is considered the main innovator in this , primarily thanks to the work of experts in their technology centre and research and development department. in 2007 the company received the European Excellence Certificate which guarantees the European origin of the materials used and the premium quality of their products. The PETROF company distributes its upright and grand pianos to 65 countries in 5 continents. The Piano Workshop’s Ridgewood location is New Jersey’s only Dealer of these truly “World Class” instruments. We have a wide selection of PETROF pianos on display, and can order custom sizes and styles direct from the PETROF factory in Czech Republic. Introducing the CME Xkey mobile keyboard! Chain up to 7 units to one iPad, Tablet, Laptop or Desk Top Product DescriptionThe keyboard features 25 or 37 full­-size keys in a traditional layout within a slim molded aluminum frame. Each key is connected to a velocity sensitive pressure sensor that can transmit 128 levels of programmable MIDI data with polyphonic aftertouch control. This allows for more expressive and realistic playing techniques. Using the XKey Plus iPad application from the Apple App store, you can customize the controller by programming MIDI assignments to the keys and setting up to four user­defined velocity curves. Once configured, these settings can be saved to non­volatile memory within the keyboard and retained for future use. The body of the Xkey is housed into a piece of molded aluminum. The thickness is merely .62 in. Weighing at around 1.3 lbs, the Xkey is even lighter than the iPad. With the slim and light form factor of the Xkey, it can be completely put into standard size backpack. Xkey not only inherited the essence of the piano keyboard, also succeeded beyond the limits of traditional music keyboard design that with the rugged and lightweight mobile features perfectly together. Under each key and button, there is a customized pressure sensor connects to the intelligent circuit board with high­ processing power. The intelligent circuit board produces details of the performances at very low power consumption. Such details including the 128­step full range of velocity intensity and the corresponding polyphonic after­touch control, up to 16,000 ­step pitch­bend control, and real­ time response speed manipulation. CME specializes in producing the best in digital music instruments (DMI). This company’s DMI solutions have been used in over 56 countries around the world, and supported by international musicians. CME’s flagship product, the Xkey, is considered a leading standing in mobile DMI platforms. Get high ­quality music whenever you want, wherever you are!